Mascaras mascaras mascaras. What would a girl do without them? Now as you know I do quite a number of mascara reviews but this is because finding the right mascara is the absolute key to opening your eyes up to a more beautiful and bigger effect. Creating multiple outcomes like volume, double-layering and length might not seem like much but to a woman; it is the one product that many cannot do without. 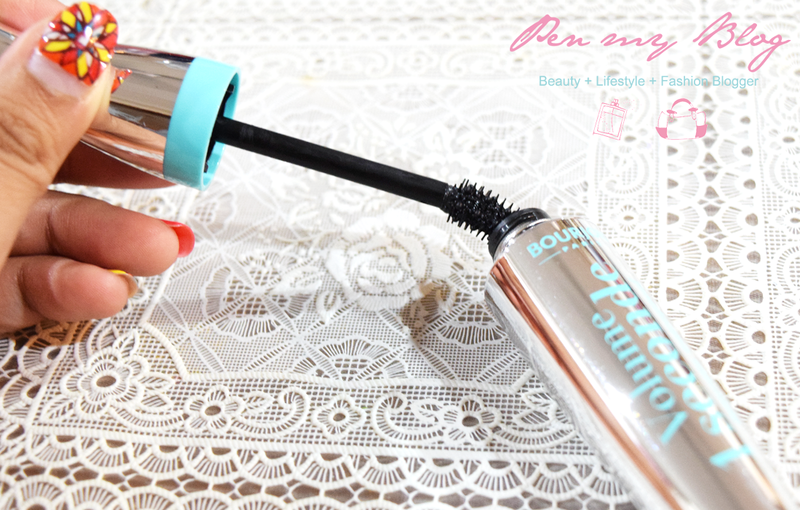 Lately Bourjois has been known for it's three dynamic best sellers like it's Rouge Edition Lipsticks, Little Round Pot Blush and the Healthy Mix Foundation but I wonder what can be said about it's mascaras? 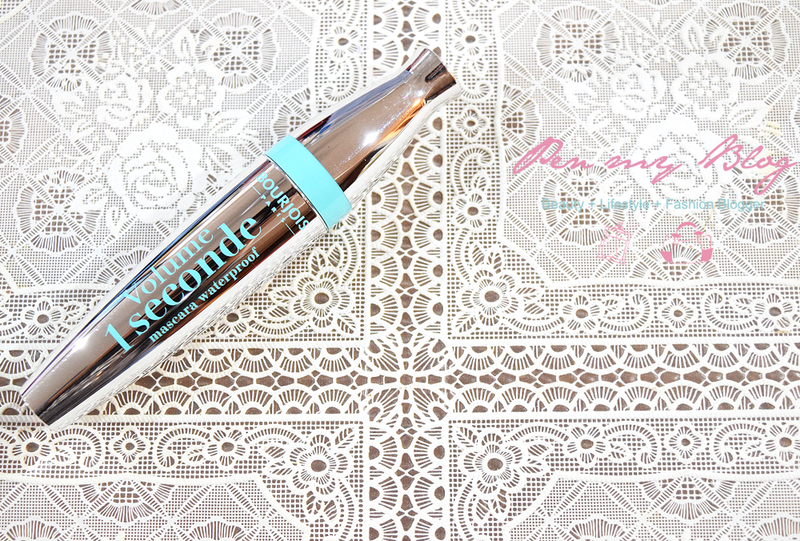 The one that has been popping up on my news feed constantly seems to be the Volume 1 Seconde Mascara Waterproof and hence since I had it in hand; I thought that it would be good to give it a fair review. First things first though. 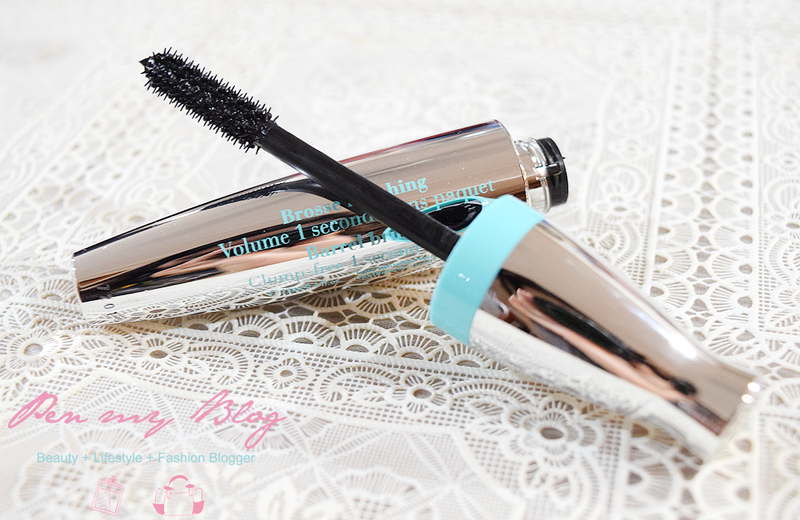 The 1 Seconde Effect that this mascara claims to do is that the voluminous and lengthening effect can be achieved in just application. Just had to post it up here just in case any of you thought that it the mascara had the ability to dry up in just on second. No jumping to conclusions but just had to be sure. The first thought on application was that the product does give a pretty clean swipe in terms of being not clumpy along with providing great lengthening terms. I can't really say much on the giving the lashes volume though as I had to apply it twice before I saw the thickness of my lashes amped up. I had to hand it to Bourjois on the packaging though as it was made very sleek and polished; kind of like carrying a beautiful high end piece around with you in your beauty pouch. It has a striking chrome tube along with a subtle sea-blue band that comes with a unique brush with wraparound spherical bristles that is very flexible upon application. Formula wise it is quite an intense black waterproof foundation but upon the first swatch gives the lashes a rather natural look without too much extremity. 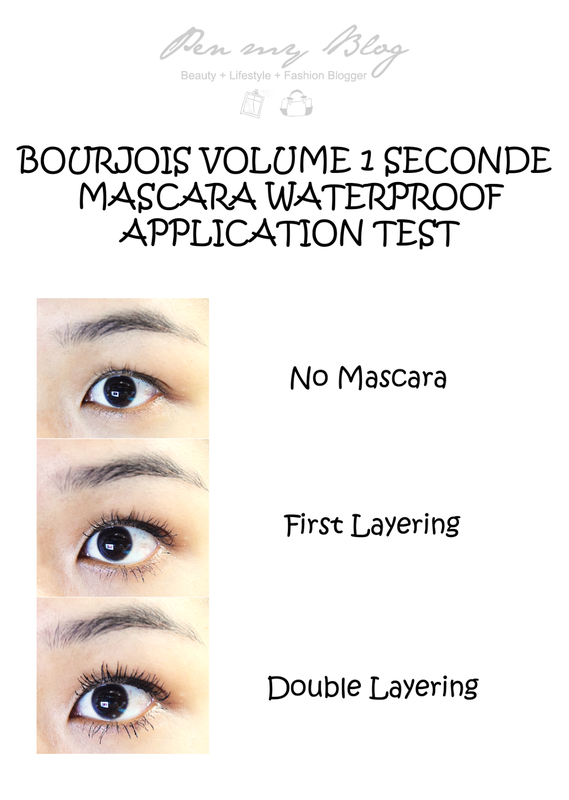 Bourjois gives a claim that it's 1 Seconde Effect Mascara Waterproof will be able to last 16 hours but after wearing it out for more than that; I would personally vouch that the product actually lasts longer; with no fall out and a good extreme hold. Now the question of it's removal. 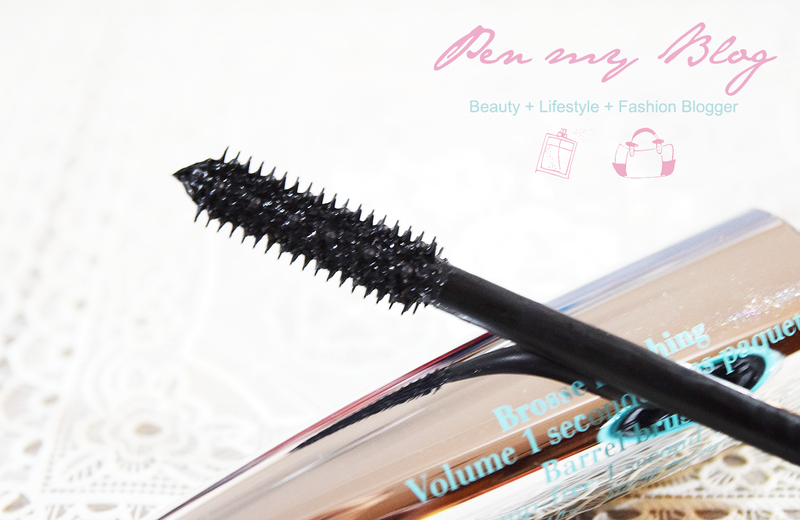 We know that some mascaras give fabulous volume but boy are they are hassle to clean up after a day's use. Thankfully this product is extremely easy to remove; just take a cotton pad, a few drops of makeup remover and swipe down your lashes. And tada you are done. I personally have yet to succumb to the recent Bourjois hype but the packaging of this mascara definitely grabbed my attention. It's so chrome and futuristic! Thanks so much for the very detailed review, right down to actual removal!